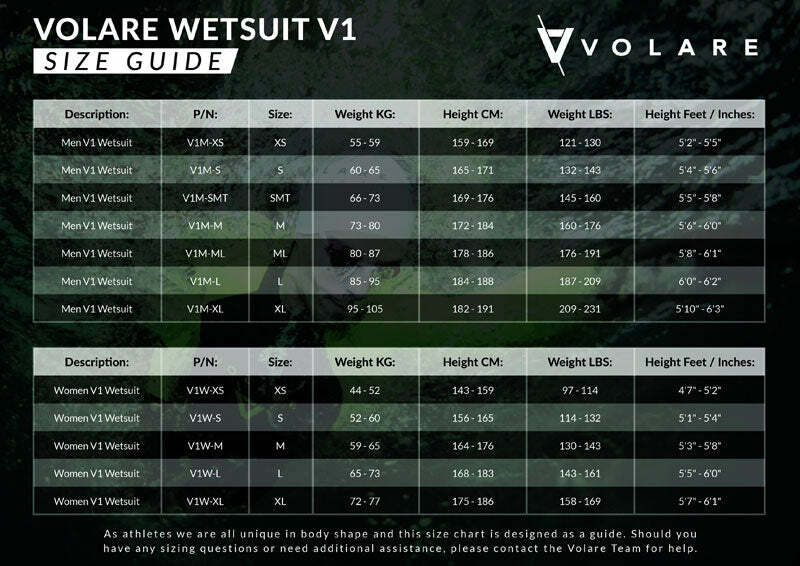 The Volare V1 wetsuit is designed specifically for swimming and triathlon. Its neon yellow arms and leg panels make the suit highly visible in the water. Making this suit ideal for open water swimming, triathlon and surf lifesaving. In a sea of black neoprene, you will be sure to standout from the crowd. Key movement areas such as the arms, utilise 2mm neoprene, ensuring a relaxed swim stroke, which helps minimise fatigue. Use thin gloves and pull suit between your finger pads. Pull material up a few cm up at time, never rush it's not a race. Never use your fingernails; high performances suits can be easily damaged. Soft fold when storing and avoid using a coat hanger on your suit. Extended storage on a coat hanger will result in damage to your suits shoulders.